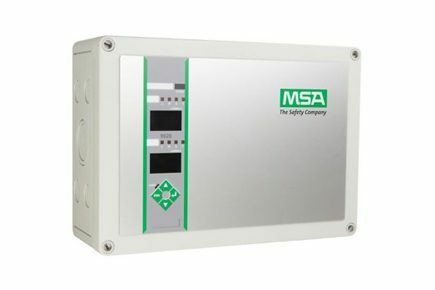 MSA’s 9010/9020 LCD control units are designed to offer maximum flexibility to work in conjunction with a wide variety of remote sensors to provide reliable gas detection in a wide range of industries and applications. Advanced design using SMD and mostly RoHS Directive compliant components throughout and innovative features put the 9010/9020 LCD control units a step ahead of any conventional gas warning system. The 9010 LCD operates with one independent sensor [single channel] while the 9020 LCD operates with two independent sensors [dual channel] per control module offering considerable cost saving while maintaining high reliability and performance. Modular design combined with dual channel capability allows for high density packaging in a single 19 rack [up to 20 points]. A high level of reliability is possible as each control module is fitted with an independent AC/DC power supply transformer and logic circuit with software validated according to ATEX Directive 94/9/EC.